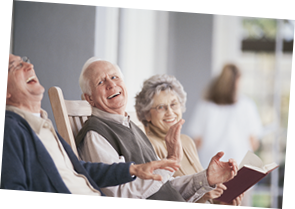 Care centers and assisted living centers are our one and only priority. Dr. Eric Barnes, DO and acting Medical Director of Barnes Healthcare Management Group, has years of experience caring for care center and assisted living center residents and extensive knowledge of the federal regulations regarding geriatric medicine. Our combined years of experience allow us to step up when family practitioners may not fully understanding the difference between family medicine and geriatric medicine, giving us the knowledge administer exceptional care for care center and assisted living center residents. The growth of Barnes Healthcare Mgmt. is comparable to a private physician building his business, but we aren’t providing our service to start a private practice. Geriatric medicine is our specialty and our private practice. Our consideration for you and your residents creates an environment in which no one is inconvenienced. Residents are visited at appropriate times: for example, mealtimes are not disturbed and nursing shift changes are not interrupted. We consider your schedule. Our Care Coordinator works hand-in-hand with your staff gathering all necessary information, notifying physician visit times in advance and keeping everyone informed. When we receive your orders, they’re placed immediately. Facing the end of life is hard enough, but forcing residents to needlessly suffer is unacceptable. We provide a higher level of attention where it is truly needed. Working exclusively in care centers and assisted living centers with limited doctor-to-doctor interaction, Dr. Barnes and the physicians of Barnes Healthcare Mgmt. have begun building working relationships with other local doctors. Dr. Barnes is pushing to create a physicians network which will provide doctor “back-ups” and ultimately resulting in better care-giving. Consequently, Dr. Barnes is forcing his competitors’ hand; if they don’t take care of their residents, we will. Knowledge of care center and assisted living center regulations is imperative in distributing narcotic prescriptions to residents. The physicians at Barnes Healthcare Mgmt. 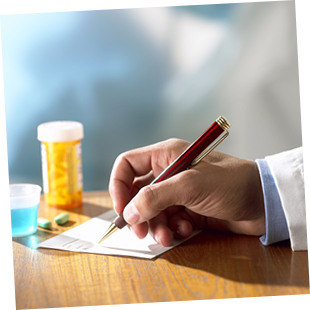 are well educated in the specific details regarding over-treating, tracking of medications and convenience of prescription refills. Please visit our Services page for more information regarding Narcotics Management. Due to sporadic private physician visits, care centers and assisted living centers are often left with unsigned paperwork, waiting for attention before a resident’s care can be continued. We visit our care centers and assisted living centers multiple times per month based on care needs, taking the time to sign paperwork and making it easy for you to complete the necessary requirements for continual resident care. We strive to educate ourselves to be able to provide the highest care to our residents.